Perios may aggregate your information with information about other users so that it no longer identifies and cannot reasonably be used to identify an individual person. Authorized third-party service providers. We may share information with our third-party service providers to help us fulfill requests and perform various functions necessary to our educational mission, including usage analytics, data processing, and account management. For example, our service providers may provide to us and analyze on our behalf usage information so that we can identify which of our services are most popular and how they can be improved. Legal purposes. We may disclose information to respond to subpoenas, court orders, legal process, law enforcement requests, legal claims or government inquiries, and to protect and defend the rights, interests, property, safety, and security of Perios. With your consent. We otherwise may share your information with your consent. Perios also may share aggregated or anonymized information with third parties, including to help us develop content and services that we hope you or your child will find of interest or to help these third parties develop their own products and service offerings. Perios uses these technologies, for example, to help us recognize your browser as a previous user and save and remember any preferences that may have been set; to help us customize the content shown while you use the Services; to provide you with content customized to your interests and to understand whether users read e-mail messages and click on links contained within those messages so that we can deliver relevant content and offers; and to help measure and research the effectiveness of our Services, interactive online content, features, and other communications. Perios may allow third parties to place and read their own cookies, web beacons, and similar technologies to collect information through the Services. For example, our third-party service providers may use these technologies to collect information that helps us with traffic measurement, research, and analytics. You may be able to refuse or disable cookies by adjusting your web browser settings. Because each web browser is different, please consult the instructions provided by your web browser (typically in the "help" section). Please note that you may need to take additional steps to refuse or disable Local Shared Objects and similar technologies. If you choose to refuse, disable, or delete these technologies, some of the functionality of our site may no longer be available to you. Perios endeavors to obtain a parent or legal guardian's consent before collecting, using, or disclosing personal information from children. Parents or legal guardians may contact us to ask if we have collected their child's personal account information, to review that information, if any, and request that Perios stop collecting this information and have it deleted. Such requests are subject to Perios verifying to our satisfaction that the requester is in fact the child's parent or legal guardian. 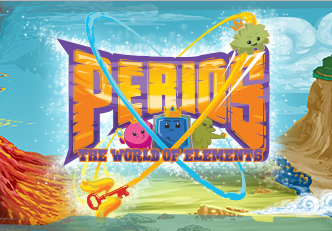 Perios is are committed to protecting your and your child's information. We have adopted reasonable technical, administrative, and physical procedures to help protect this information from loss, misuse, and alteration. Please note that no data transmission or storage can be guaranteed to be 100% secure. We want you to feel confident using the Services but we cannot ensure or warrant the security of any information you or your child transmit to us. Please also read the Terms of Service / End User License Agreement (EULA) for using this site.